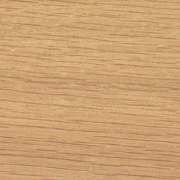 Stains modify the natural colour of wood, enhancing the typical grain. Kusch+Co only uses water-based, solvent-free stains. A wide range of tones is possible: from natural tone all the way to trendy colours. Wood stains is applied directly on the wooden surface and is designed to enhance the natural grain without affecting the natural character of wood. Wood stain covers the surface evenly. Lightfast fine pigment dye for a thin coat, the grain remains visible. Water-based wood stains without organic solvents. Environmentally friendly and easy to apply.